This hard-working, executive chef has a healthy recipe for staying fit. Being a chef has more strenuous physical demands than you might think. Staying on your feet for long hours, and lifting lots of heavy weight throughout the day can be grueling. And because Kelvin has a physically demanding job where everything depends on him, it's imperative that he remains in top condition to perform his best. 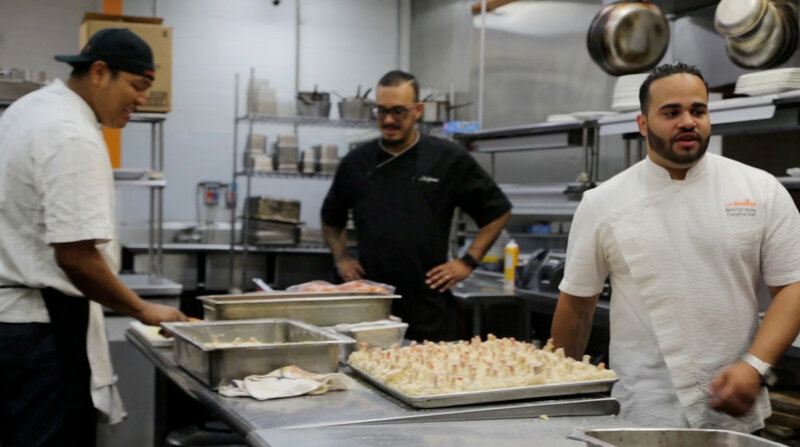 "From the managers to the cooks to my chefs, it's important for us to be mentally and physically in shape for this job, So we all get together and work out every Sunday," says Fernandez. The chef also likes to hit the iron for adding more strength and the treadmill for improving his endurance. "I do a lot of squatting and curling. I also like doing pushups to build my upper body strength, and a lot of cardio because I want to keep my stamina up. I want to be always physically and mentally ready for what's coming," admits the chef. Because Fernandez is looking to lose about 20 lbs., a high-octane cardio workout like this one would serve up some rewarding results.